For as long as I've been reading beauty blogs, I've been a fan of 15 Minute Beauty Fanatic. Founder Christine Mikesell is a fantastic writer and brings a wealth of knowledge about all things beauty, from an insane memory for old nail polish colors to a scientific take on skincare products (she's a doctor in her "spare time"). Add the fact that she's one of the nicest people around and you've got yourself a pretty amazing blogger! 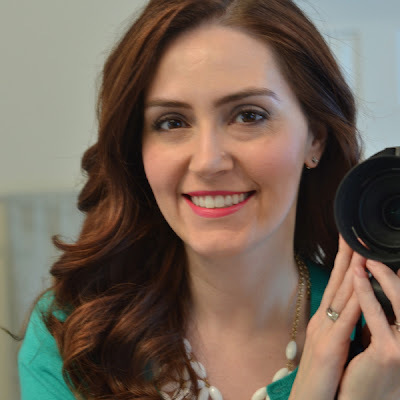 Read on to find out what inspired the name of Christine's blog, the concealer she can't live without and so much more. I grew up in a small town in Michigan, a big beach town. I went to school at the University of Michigan (Go Blue!) for 8 years, before moving to Southern California for training. A couple of years ago my husband and I moved back to Ann Arbor. When I'm not blogging I'm working and spending time with my husband and daughter. How did you first become interested in beauty, and what led you to start your blog? I've always been a product junkie! Even in high school I read the beauty section of every magazine first and bought everything from the new displays at the drugstore the moment they were put out. I was just starting my critical care training when I realized that I needed a light and fluffy outlet, something to balance out what I was doing all day, every day. My husband suggested I start my own beauty blog since I was forever commenting on other blogs, it took about 6 months before I admitted to him that I'd actually done it! I'm not a morning person, but unfortunately, the medical field doesn't care! So, I was perpetually sleeping in until the last possible moment. I had my beauty routine down to 15 minutes from the moment I stepped out of the shower until I hopped into the car. I'm not quite that fast now (it must be something about being 35 instead of 29), but I can be fast when I need to be! 1) Kiehl's Midnight Recovery Concentrate. This oil is absolutely amazing! A few drops on my face before bed and any dryness is gone! I'm back to glowy by the morning. 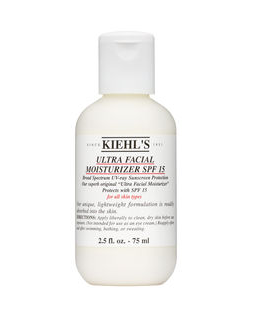 2) Kiehl's Ultra Facial Moisturizer SPF 15 (it comes in 30 now). Changing to this light moisturizer in the morning changed my skin dramatically in college. Somehow it cleared up most of my acne, I am not joking. I use it in between product testings now, it is still my favorite! 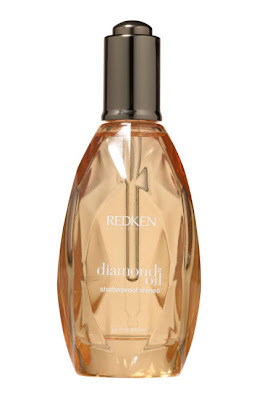 3) Redken Diamond Oil. I just discovered this oil, but I'm obsessed! A few drops in my hair makes it insanely soft and shiny, smoothing out any damaged areas. 4) Amazing Cosmetics Amazing Concealer. Full coverage that lasts all day but looks like I'm not wearing anything? Yes, please! 5) Stila Convertible Color in Lillium. This is my go-to blush. I apply it with a brush for a lighter look, but it lasts all day on me. 1) Always prime. Prime everything that can possibly be primed. Shadow primer is worth its weight in gold (I like Urban Decay Eyeshadow Primer Potion and Too Faced Shadow Insurance), face primer is amazing to minimize pores, and if you're shiny, add in some Milk of Magnesia as a primer. 2) Eyebrows are so underrated. Having your brows done (even if you do them yourself), not overplucked, and filled in each day makes a HUGE impact. I wish I'd realized this in my 20s. 3) Pay close attention to your skin and listen to it, not whatever "regimen" you have going on at the time. Your skin shouldn't be red and irritated. There shouldn't be dryness and absolutely no flaking! I'm constantly adding in a little extra moisture, backing off on treatment products (every other night is often a good idea) and I wear sunscreen every day. Being a beauty blogger must be fun, but what do you do in your spare time? Mostly I spend time with my family. I have a 2-year-old daughter and I can't believe how quickly she is growing up!